Some research suggests that eating disorders are related to poor sleep health. To increase knowledge on the relation between sleep and eating disorders, we used a multi-method approach to examine associations between sleep, chronotype, and eating disorder psychopathology. We investigated associations between ED psychopathology, both diagnostic categories (ascertained through self-report data) and dimensional measures, and self-report and ambulatory measures of sleep. Adults currently enrolled in a commercial weight loss program completed self-report measures as well as 1 week of ambulatory sleep monitoring and sleep diaries. Participants with full- or sub-threshold bulimia nervosa and binge eating disorder reported significantly lower subjective sleep health and greater eveningness. Additionally, greater severity of eating disorder psychopathology was associated with lower subjective sleep health and greater eveningness. 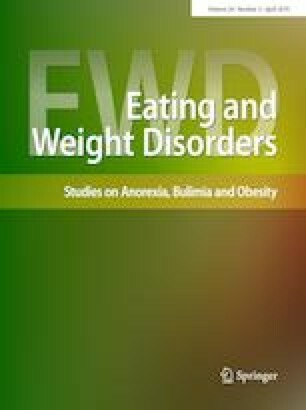 Eating disorder psychopathology was generally not related to objective sleep measures. Regarding diary measures, global eating disorder psychopathology was negatively correlated with subjective reports of feeling rested. Eating disorder psychopathology is associated with participants’ subjective sense of sleep quality, but appears to have little relation to objective sleep characteristics. Level of evidence Level V, descriptive study. This article is part of topical collection on Sleep and Eating and Weight disorders. Support for this project was provided by the Sanford Health—North Dakota State University Collaborative Research Seed Grant program. The authors were responsible for all aspects of study design and manuscript preparation. The funding source had no involvement. The Institutional Review Boards of Sanford Health and North Dakota State University approved this study. All procedures performed in studies involving human participants were in accordance with the ethical standards of the institutional and/or national research committee and with the 1964 Helsinki declaration and its later amendments or comparable ethical standards. Informed consent was obtained from all individual participants included in the study. All eligible participants completed an electronic informed consent form prior to participation in the study.